VW dealer Featuring American trucks! 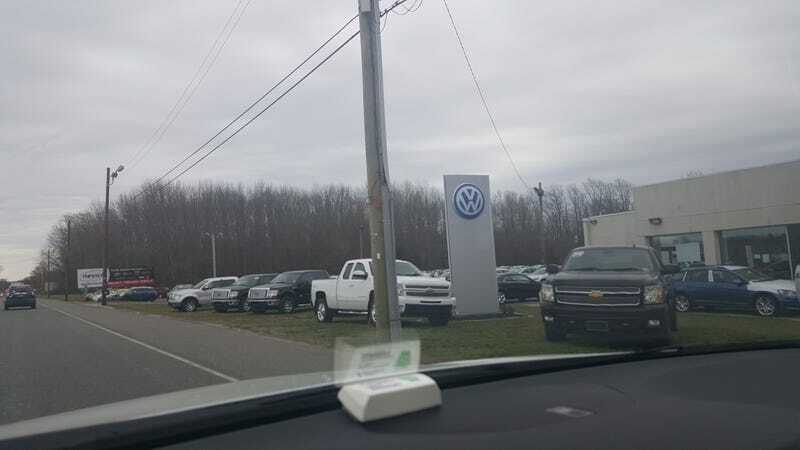 Apparently selling Volkswagen’s in Salem, New Jersey has gotten so bad that they would rather put used trucks in their front yard than their new Volkswagen lineup! I snapped this picture while driving thru rt 40 in NJ. 2007 Touareg, great SUV or financial pitfall? Why is it so hard to buy a certified used car?